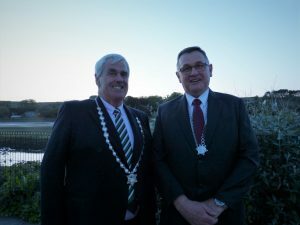 During the Annual Council meeting on Thursday 10 May 2018 Councillor Clive Polkinghorne was successfully confirmed as Hayle Town Mayor and Councillor Steve Benney as Hayle Deputy Mayor for the forthcoming year, 2018 – 2019. Both are well known in the town and are keen to get involved with new and established initiatives. Congratulations to both! 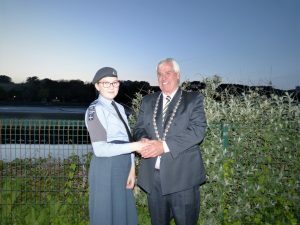 The Mayor confirmed that the Mayor’s Cadet for 2018 – 2019 was Cpl Emily Brown.